Being intentional with your money can make a difference. When you consider the many things in life that can cause you stress, money is a big one. In fact according to a 2017 American Psychological Association Stress Statistic, for 62% of us money is the second most common source of stress. Without intention, unexpected job changes, bills, or even changes in investment markets such as we’ve seen this year can become more worrisome. When you are intentional with your money, it can help to reduce the day-to-day stress. 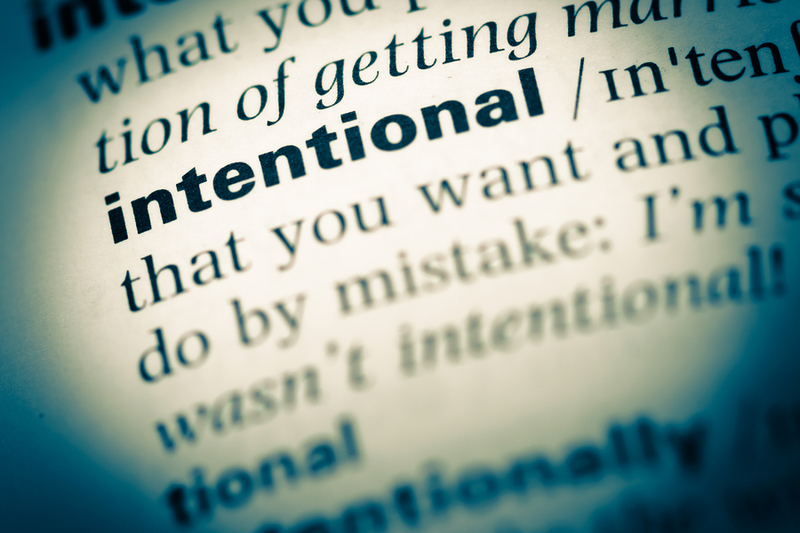 Being intentional means you are aiming and planning for your future and thoughtfully living out your values as your life’s endeavors are assigned meaning. That mindful assignment of your money toward your goals allows the dream of leaving a legacy to become closer to a reality. Being armed with answers to the following top questions is an important step toward peace of mind and managing your money with intention. Am I saving in the right buckets? Roth, Traditional IRA, 401k? I have several accounts yet I’m not sure if I’m invested appropriately for what I need? Am I taking on too much risk or too little? How much should I save for my kids’ college education and should I save in a 529 account? Should I pay off my debt or invest in my 401k? Should I sell some of my stocks because of the market volatility? Are my assets properly protected? Am I leaving a legacy that my family can understand and appreciate? I’m saving, but am I doing the right things financially? Were any of these questions on your mind prior to reading this? They are all individually and collectively significant. Answering these top questions is at the heart of intentionally managing your finances, yet it’s not all. To find these answers you must know where you’re going. So, where should you start? We believe you should begin with the end in mind. Historically, for most people, financial planning has been more like investment management, something that is often hard for many to understand with all of the investments and numbers and options. But today, when done properly and with intention, financial planning should begin by figuring out your aim in life, your goals along with your purpose. Then, answer questions like our top 10, and, finally, save and invest accordingly. It’s a process that educates you along the way. That knowledge can give you greater satisfaction that you’re on the right path for you and your family. Find a collaborator, a financial planner that uses not just investments but works with you to create your plan, which will be the foundation of everything else financially. Within that plan you should have the opportunity to model different outcomes, market changes and risks to your plan, and properly determine your “risk budget”. Once you have your intention firmly in place, confidence comes with it. Then, the saving and investing you do intentionally is also done with less stress and peace of mind.